Woodfield Junior players were in action at the Staffordshire County Closed event for Juniors held on Sunday 3rd May at Burton Uxbridge TTC. After some excellent play, Jack Wood was able to claim 3 titles. 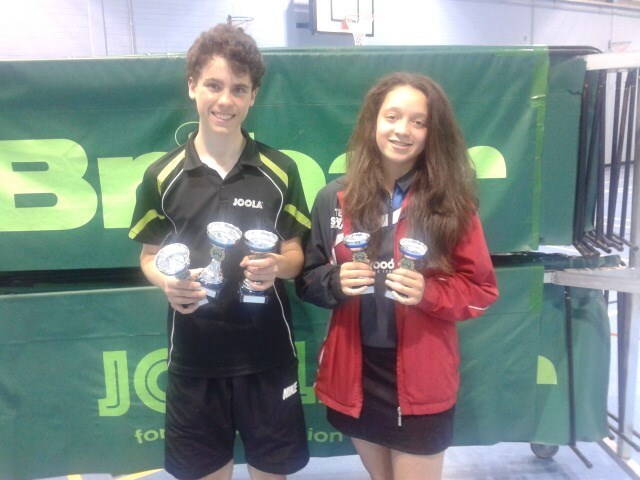 He won the Cadet and Junior boys and then with his partner, Luke Gittins, he took the U18 doubles. Georgia Harris also came away with some silverware after she also put in a great performance. She claimed two runner up spots in the Cadet girls and the Junior girls. Clearly all of the hard work in the training sessions at Woodfield is really paying off for these young players.